Block-party season is officially here as Do-Division Street Fest kicks off Friday; High on Fire, JC Brooks & the Uptown Sound, Jimmy Whispers, the O'My's, Screaming Females, Radar Eyes, and Oozing Wound are just some of the acts playing the three-day blowout. But if you're looking to beat the heat and still catch some live music, there are plenty of other opportunities throughout the week. Tonight Swearin' headlines Subterranean. Tomorrow night Herman's Hermits play Arcada Theatre and St. Paul & the Broken Bones perform at SPACE. On Saturday you can catch Kishi Bashi at Metro or Baathhaus at FLATSstudio. On Sunday there's Like Bats at Township and Murder Junkies at Reggie's Rock Club. Be sure to head over to Soundboard for all of our concert listings, and read on for a few picks from Reader critics. "On his latest solo album, In the Hollows (Western Vinyl), Dirty Projectors bassist Nat Baldwin plants both feet in the art-pop patch, surrounding his billowy, impatient melodies with precise string arrangements that draw on the talents of violist Nadia Sirota, violinist Rob Moose, and cellist Clarice Jensen, all members of young New York chamber group yMusic," writes Peter Margasak. "Baldwin’s upright bass provides the framework of his tunes, usually with an insistent arco pulse that approximates the minimalist drive of Philip Glass’s music. The polyrhythms of drummer Otto Hauser (also of Vetiver) give the music a more varied feel, falling halfway between the bass’s steady throb and Baldwin’s quavery, liquid singing, which makes him sound a little like his Dirty Projectors bandmate David Longstreth—his voice drifts frequently into a tremulous falsetto, and he elongates certain syllables dramatically. Baldwin wrote this album’s material in 2011 as he trained for a marathon, and some of the songs reflect that focus, either through direct reference in their lyrics or through metaphors or musical techniques that evoke the solitary, rigorous mind-set of a serious runner (that unrelenting bass, for instance)." "The new five-song EP from locals Varsity, Thanks for Nothing (Jurassic Pop), is a sweet dose of garage pop, and 'New Wave,' its second track, is a damn near perfect single," writes Kevin Warwick. "It opens with a warm, rhythmic keyboard and paints one melody atop another, adding a simple, fuzzy guitar lead beneath the vocals of front woman Stephanie Smith: 'You like new wave all the time / I don’t mind, I don’t mind.' The tune is an object lesson in piecing together a puzzle of melodies, and some of the credit has to go to Smith, whose more than capable singing is less than perfectly polished and never gets too precious or goopy." 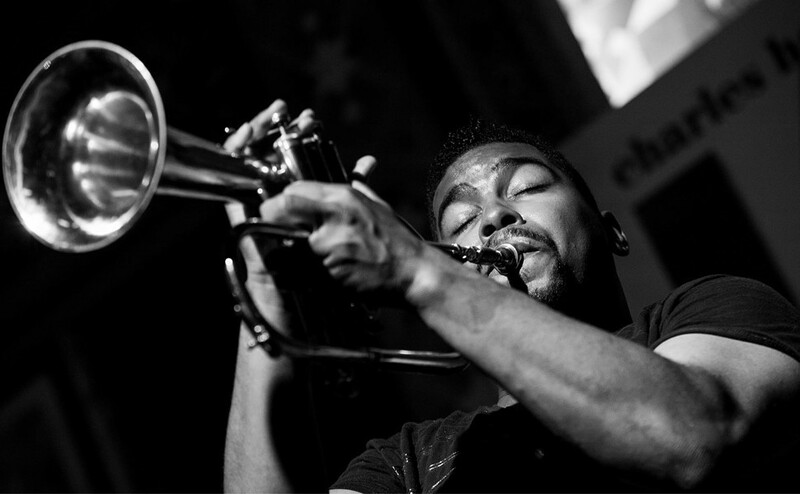 "Chicago trumpeter Corey Wilkes hit the road with the Art Ensemble of Chicago in late 2003, when he was just 24—he was the first trumpeter to play in the group since the death of Lester Bowie in 1999," writes Peter Margasak. "His audacious range, technical chops, and melodic imagination have been on display from day one, whether he’s playing slick R&B-kissed arrangements with Black Slang or carrying on the fiery free-jazz tradition of the AACM with Abstrakt Pulse. Wilkes hasn’t made a new record since 2011’s Kind of Miles: Live at the Velvet Lounge (Katalyst), a wide-ranging treatment of Miles Davis’s music that was his first release to reflect his growing maturity, with the extroverted flash toned down and the smoldering intensity turned up. Wilkes has only improved since, sharpening his sense of economy, and this weekend he leads his quintet through its usual mix of originals and standards." Corey Wilkes Quintet also performs Friday night.